Want to find out more about this product? 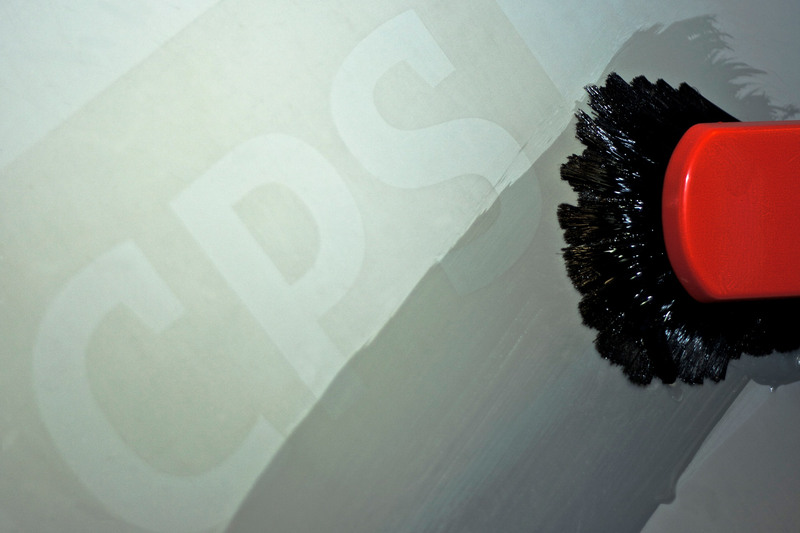 CPS's premium Haze Remover is a safer alternative to 'traditional' high caustic haze removers. CPS Haze Remover HV is a low caustic ink, emulsion and diazo stain remover gel. The low caustic level is safer for operators and ensures that the mesh isn't damaged in use. The gelled structure makes this cleaning process very sustainable as it minimises the amount of product that is lost down the drain during application with a brush or preferably a coating trough. Used in conjunction with CPS Activator G or CPS Stain Preventer Gel 6000 to improve ink stain cleaning performance. 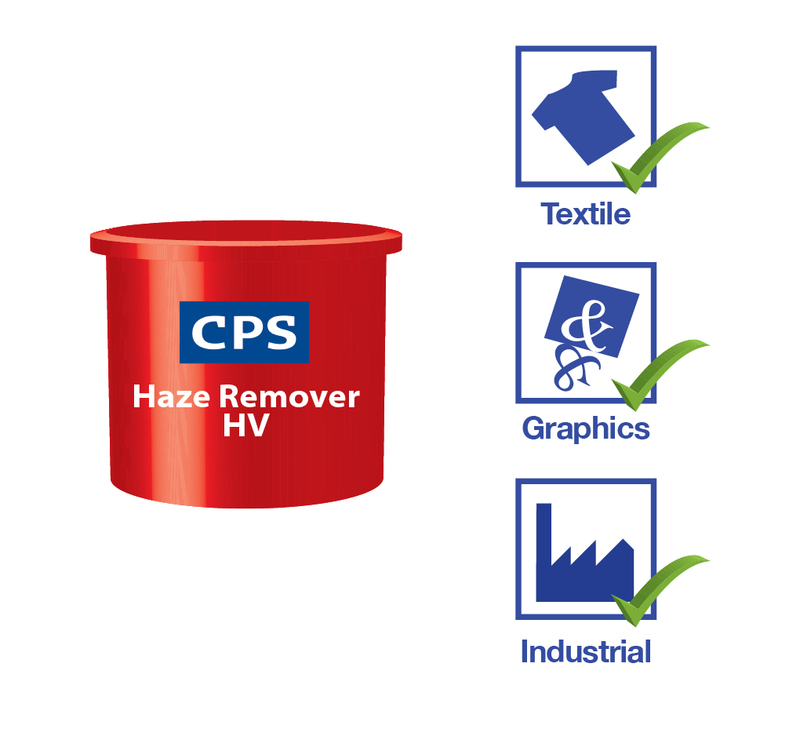 CPS Haze Remover HV is the original low caustic haze remover available as a high viscosity gel. Can be applied with a coating trough or brush. Works on all types of stains. Apply to both sides of the mesh using a red CPS Brush or a coating trough. Can be left for several days if required but if time is an issue, CPS Haze Remover HV can be force dried at a maximum of 35°C. When dry, apply CPS Activator G to both sides of the mesh. For really tough staines, leave to work for 5-10 minutes. Alternatively you can apply CPS Stain Preventer Gel 6000 with a coating trough and brush with a blue CPS Brush. Remove stains by first using low pressure, followed by high pressure water. All sectors of the Screen Printing Industry. Screen printers of textiles, industrial and graphic products. Available as a ready to use product in 1 Kg, 5 Kg, 20 LT, 25 Kg & 210 Kg pack sizes*. *CPS endorses best industry practice and manual handling of 20 LT, 25 Kg and 210 Kg containers should be risk assessed and suitable controls put in place. Use of mechanical handling equipment may be necessary. EU VOC is calculated from vapour pressure and physical properties of the raw materials. US standard ASTM D2369 relates to the test method used to calculate the VOC under the South Coast Air Quality Management District (SCAQMD) regulations for cleanup solvents used in screen printing. Read safety data sheet for full physical properties. Should not be force-dried in excess of 35°C as this can cause damage to the mesh. 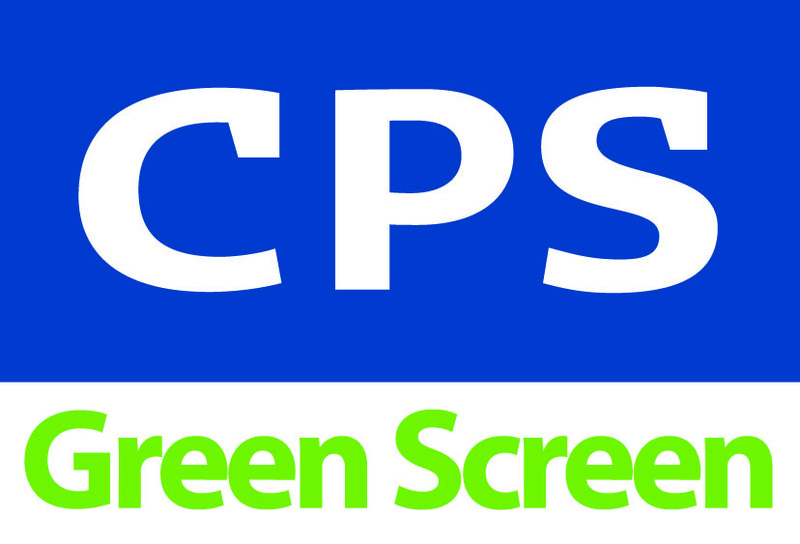 Standard screen wash products can react with CPS Haze Remover HV, as well as any type of caustic based stain remover. In some cases the mixture can heat up and could damage the screen mesh. For this reason and to achieve the best cleaning results, CPS Activator G is the best choice to compliment CPS Haze Remover HV and achieve maximum cleaning efficiency. CPS endorses best industry practice that operators should wear appropriate personal protective equipment (PPE) when handling all chemical products, even those classified as 'non-hazardous'. Recommended PPE for CPS Products includes gloves and safety glasses (or goggles when handling larger quantities). Read Safety Data Sheet for full protection information.